After supplying steam showers for over 10 years, Di Vapor considers itself one of the steam shower experts within the industry. Di Vapor understands the importance of making the correct buying decision when deciding on a new steam shower. With an abundance of models available in the marketplace, it's important to know what to look for and certain things you should avoid. Let Di Vapor make the notes for you! The following is essential advice to read and check before you buy your new steam shower. Steam shower prices vary massively both online and on the high street, but it's important not to just settle for the cheapest unit available. The following guide is designed to give you an insight into some of the factors you need to be aware of when shopping for your new steam shower. 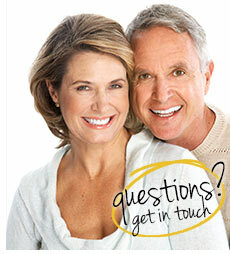 If you have any questions for our experts, don't hesitate to drop us an email through our contact page. Price - Some factories use acrylic that costs just £777 per tonne, some others use acrylic at £971-£1,035 per tonne. In fact, the acrylic Di Vapor uses costs £1618 per tonne. 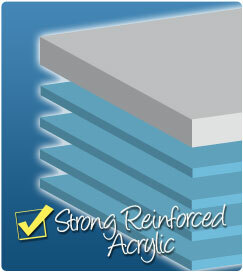 This higher quality acrylic will last longer and also fade less over time. What is the profiles thickness? - To save costs some manufacturers have a 0.5mm thick aluminium profile and whilst being weaker is also more prone to dents. Di Vapor use 1.2mm-1.6mm aluminium profiles. Structural Frame Support - The strength and durability of the support frame is essential as it forms the foundation of your shower or bathtub. Typically, a metal frame that doesn't rust (like stainless steel) will offer the optimum support as opposed to a wooden structure. Thickness - Typically, it is suggested that a tempered safety glass of 5-6mm would provide optimum safety, below which the risk of breakage increase. 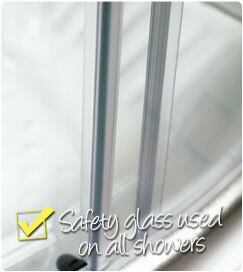 As standard, Di Vapor uses 5-6mm or 8mm thick tempered safety glass on all steam showers. Break Test - One safety standard states that a 120mm square piece of tempered glass should break into 45 individual pieces. Di Vapor's tempered glass surpasses this and will break into 60 small pieces with no sharp edges. The smaller the pieces the higher the grade of safety glass used. 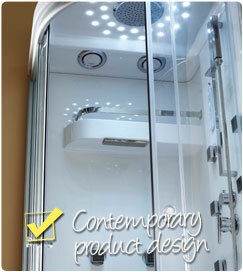 Silicone free - Some manufacturers claim that their steam cabins are entirely silicone free. From our first hand experience with steam cabins, a sealant free cabin can still leak water if water is applied to particular areas. Check with your supplier what "silicone free" actually means, asking how it works and what's required to be watertight. You could prevent a water damage disaster that could costs thousands. Door Rollers - Door rollers or runners often go unnoticed when they are functioning perfectly. However, if misaligned or damaged they can become a headache. Although, seemingly a simple part - quality should be evident in the detail. 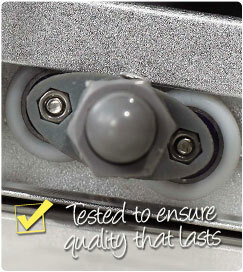 For example, Di Vapor door runners are tested to pass over 100,000 consecutive uses. 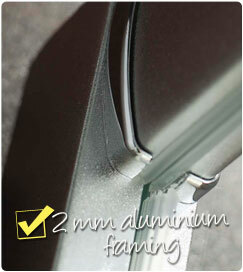 Door Handles and fixings - Beware of plastic fixtures that have a chrome coating. These are liable to wear away more quickly and needless to say don't give a quality feel. Steam Leakage - Have a look at the gap between the door and the base. The amount of steam leakage varies greatly between manufacturers and whilst you will usually have a little leakage you want to keep this to a minimum. As used with Di Vapor steam showers check for good seals that are designed to reduce the escape of steam. Weight Test - Simply put: the thicker the acrylic/ABS, glass, aluminium and frame (is it a wood or stainless steel frame?) the greater the amount of material required in manufacturing. In addition, solid metal fixtures are far heavier than their plastic counterparts. Not only will this result in a sturdier, stronger product but consequently the weight of the combined delivery boxes will be heavier. For peace of mind, why not check the unpackaged and installed weight of the product in which you are interested? Residual Current Device - Water and electricity simply don't mix - When dealing with these two elements safety is paramount. A residual current device or RCD is a device that will shut-off the steam shower as soon as a malfunction is detected. 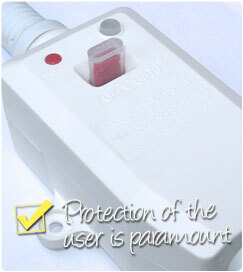 When using a 3KW steam generator or 220V product this is essential to guarantee the safety of the user. Certification - Check for the CE safety mark, conformity to which means that the essential health and safety requirements set out in European Directives are met. In addition ISO14001, an internationally accepted accreditation for an Environmental Management System (EMS) and ISO9001:2000, which identifies factors that a manufacturer must fulfill if it is to achieve customer satisfaction through consistent products and services that meet customer expectations. Other certificates to which Di Vapor products also adhere are the TUV and Intertek ETL. Ask your supplier to provide you with copies of certificates if you are unsure. Electrical Components - A steam shower often contains a complex electrical box that controls steam production, radio, CD, telephone, massage jets and many other functions. Some manufacturers do not test the electric box used within their products, while others may do for just 1-2 hours. In contrast, each function within the Di Vapor electrical control box is run for 72 consecutive hours to ensure the reliability and durability of each electrical component used. Trust the Brand - With many options in the market it is important to buy from a reputable brand so as to ensure that you get the necessary customer care and after service support. Di Vapor receives telephone calls on a regular basis, from people who require parts for unknown steam showers that have malfunctioned or proven faulty. If the brand is unheard of, it's simply impossible to find parts that are compatible. Trading Time - There are many resources available on the internet to determine how long a company has been trading. By law, a company must supply their registered company details to a customer so that the customer can perform necessary background checks before buying. If the company doesn't have a company number, they may not have been trading for long. It may be the case that they won't be around in two years time when you need a replacement part. Di Vapor is entering its 6th year of trading (2011) and in this time 11 prominent steam shower suppliers have come and gone. Showroom/Warehouse Viewing - It may be difficult to fully ascertain a product's build quality and sturdiness without being able to feel and touch the unit. Where possible try and view a unit either in the companies showroom or perhaps they can organise a private appointment at their warehouse. Make sure that dropping a bar of soap in your cabin won't mean the end for your new steam shower! Delivery and VAT - These may be hidden extras, not shown to give the impression of a lower selling price. 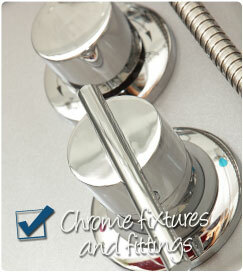 A steam shower is both bulky and heavy and delivery could add as much as £50-£200+ to your final price. Make sure you buy from a company who offers you transparent pricing so you know exactly how much you're paying. Part preparation - It's important to check what's required to install your steam shower cabin before it arrives, ensuring that you have any necessary parts on site to avoid any delays. Some companies charge extra for supply pipes, drainage parts, and additional pieces crucial to the installation which can be frustrating - Know exactly what you're getting for your money. Stock - To cut costs some companies will hold very limited or no stock and simply start manufacturing a steam shower on receipt of your payment. 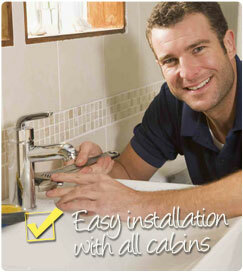 Typically, this will result in a delay of approximately 6-12 weeks until your steam shower is ready. Make sure you check availability sooner rather than later. If you can't have your steam shower within a matter of days, it may the case that your supplier doesn't even have the unit in the country. Interior Height - A costly or uncomfortable mistake may lead to you or your guests not being able to stand up straight inside your shower! This is an important design requirement and one which some manufacturers may overlook. Please be assured that each Di Vapor steam shower has an interior height of at least 1.92m or higher. 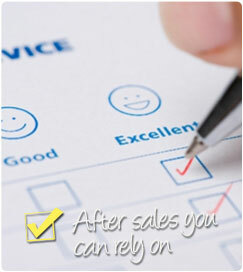 Guarantee - Be sure to review the guarantee included with your new steam shower with a careful eye. Check how long you're covered for and what's actually covered under the guarantee. You may find some companies offering a "lifetime" guarantee with a cabin, but if they aren't here in 10 years time - the guarantee won't be worth the paper it's written on. 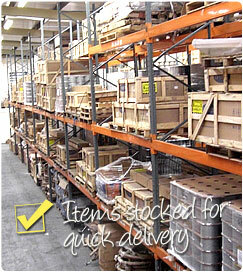 Check if the guarantee is parts only, or inclusive of labour. This can be rare however, due to various factors that can affect labour prices such as region. After Sales - Di Vapor maintains a high stock level of all parts used on all products at our UK based distribution warehouse. The entire range can be browsed and purchased online here: http://www.divapor.com/spares/. In the unlikely event of any part failing, you can expect a swift response and resolution to the problem. Our technical support team has been working with steam showers for over ten years, so we are aware of most common problems and how to solve them quickly. If you find that your supplier does not stock spares in the UK, you could be waiting for weeks, even months before a replacement part arrives. Product features - Once you are happy with the build quality you will want to double check the shower you have chosen provides the features you require. Most steam showers offer a handheld shower, overhead shower and body jets as standard. A feature such as ozone sterilisation that will purify and kill bacteria after using the unit may be a differentiating factor. Other differentiating factors may be aromatherapy, foot massage or even the inclusion of an easy plumb tray. 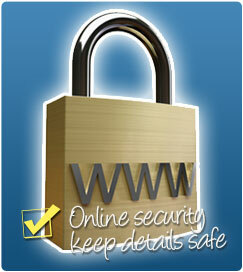 Shopping safety - When purchasing anything online, you need to check that both your personal information and banking details are kept safe. Be sure to confirm that the company you are buying from are verified by a third party online security organisation such as McAfee secure, Security Metrics or Verisign. If you are still unsure, it may be worth picking up the phone and speaking to someone. 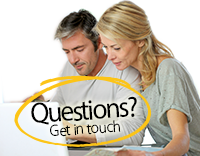 Most companies are able to handle telephone orders directly, whilst also giving you an opportunity to ask any questions regarding the products in the range.